​As interest rates in the broader market rise, banks are starting to offer decent rates on their Certificate of Deposit Accounts (CDs). If you’re a saver who wants to earn more than your checking account offers, consider investing in a CD ladder. A CD ladder won’t make you rich, but it’s a useful tool for mid-term savings goal and investment withdrawals. 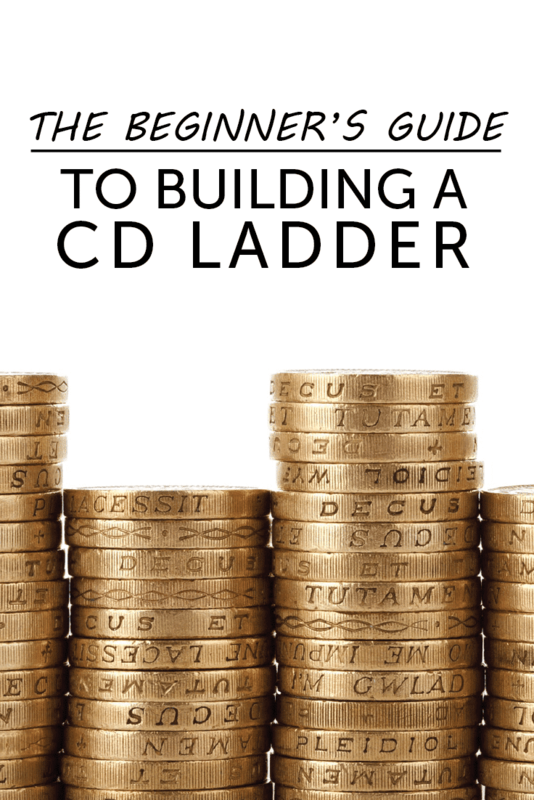 This guide explains how to create a CD ladder that fits your goals. A Certificate of Deposit (CD) entitles the account owner to a set interest rate for a given period of time. As the account owner, you must keep your money in the account for the set time, or you’ll face an early withdrawal penalty. CDs are FDIC insured, so you can’t lose your principal balance (unless you withdraw right away). Since these products bear no market risk, you can’t expect huge interest rates on the products. In fact, in recent years, CD interest rates haven’t matched inflation. As a result, you shouldn’t think of CDs as wealth building vehicles. Instead, they offer some protection from inflation while protecting your principal. A CD ladder isn’t some complicated financial product. It’s just a fancy way of saying that you should divide your savings into CDs with different maturities. For example, a person with $10,000 to invest might invest $2,000 in five different CDs ranging in maturity from one through five years. A CD ladder offers benefits that a long term CD does not. First, a CD Ladder offers more liquidity than a long term CD. In a CD ladder, a CD comes to maturity every year, so you can access your money without paying withdrawal penalties. Even more importantly, a CD ladder protects you from interest rate risk. Let’s say you have $10,000 and you put it all into a five year CD yielding 2.3%. If interest rates on CDs fall to 1% you’ll feel like a genius. If interest rates on CDs rise to 6%, you’ll feel disappointed about all the interest you’re not earning. You can find a list of the best CD rates here. Many retirees use CD ladders to manage their cash flow during retirem﻿﻿en﻿﻿t. A CD ladder allows retirees to keep a portion of their investment portfolio in a very liquid and low volatility asset (CDs). When a CD comes due, the retiree can cash out a portion of their stocks/bond portfolio and invest in a 2-3 year maturity CD. During bull markets, a CD ladder makes a lot of sense for retirees. It keeps 1-2 years worth of money safe while allowing the rest of the portfolio to grow. However, financial advisors may suggest that retirees should “break” their CD ladder during a market downturn. This allows the stock and bond portfolio to recover before the retiree makes any further withdrawals. We won’t give specific advice on portfolio withdrawal strategy for retirees. Instead, we will offer a theoretical explanation of CD ladders for cash flow. Imagine a couple who plans to spend $20,000 per year from their portfolio. A year prior to their retirement, they may invest $40,000 into two different CDs, a one year CD and a two year CD. At the start of their retirement, they first CD comes to maturity. They use that $20,000 to fund their living expenses. At the same time, they withdraw $20,000 from their stock portfolio and invest it in a 2 year CD. If the couple wanted to have a three year CD ladder, they would split $60,000 between three CDs, and then each year they would reinvest into a 3 year CD. If you’re creating a CD ladder for a midterm goal, your CD ladder may become a bit more complicated. This is because you’ll need to reinvest new savings and mature CDs throughout the process. As a result, we recommend weighing your initial investment more towards the long term. For example, if you want to buy a house in five years, and you have $10,000 saved so far, consider putting $6,000 in a 5 year CD, and $1,000 in a 1-4 year CD. Each year, you will invest your new savings and the mature CD into a new CD that will mature the year you need your savings. For example, after your first year, you will invest the $1000+ interest from your first CD and any new savings into a 4 year CD. After five years, all of your investments will mature at the same time, and you can buy a house. 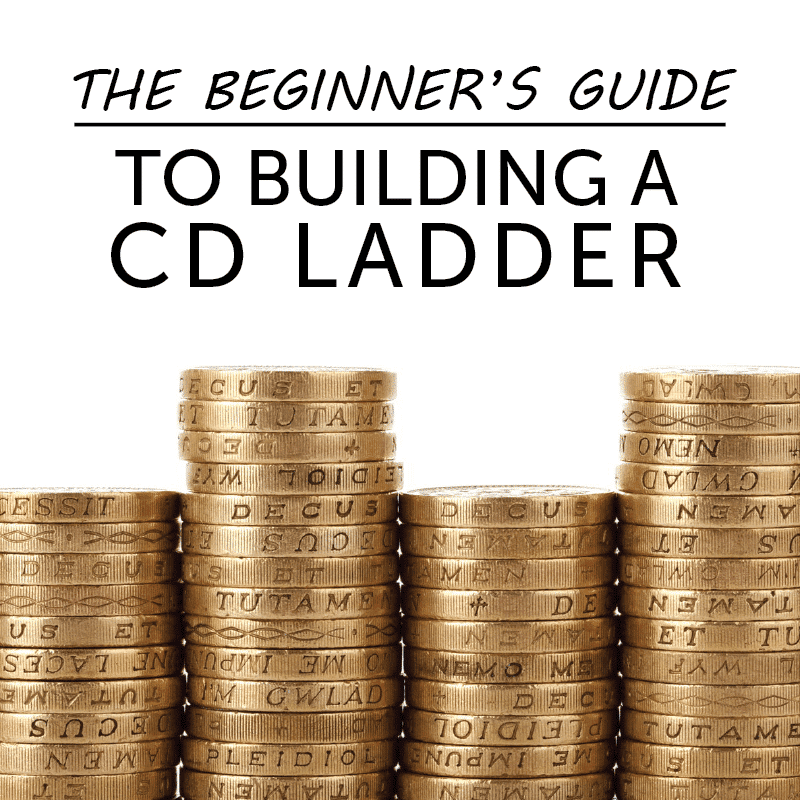 When you start a CD ladder, you don’t want to invest in whatever CD is offered by your bank or credit union. My bank offers a paltry .15% on 1 year CDs. I earn more than that on my checking account. Where ever you open a CD ladder, just make sure that you're getting a good yield and following the pattern mentioned above.